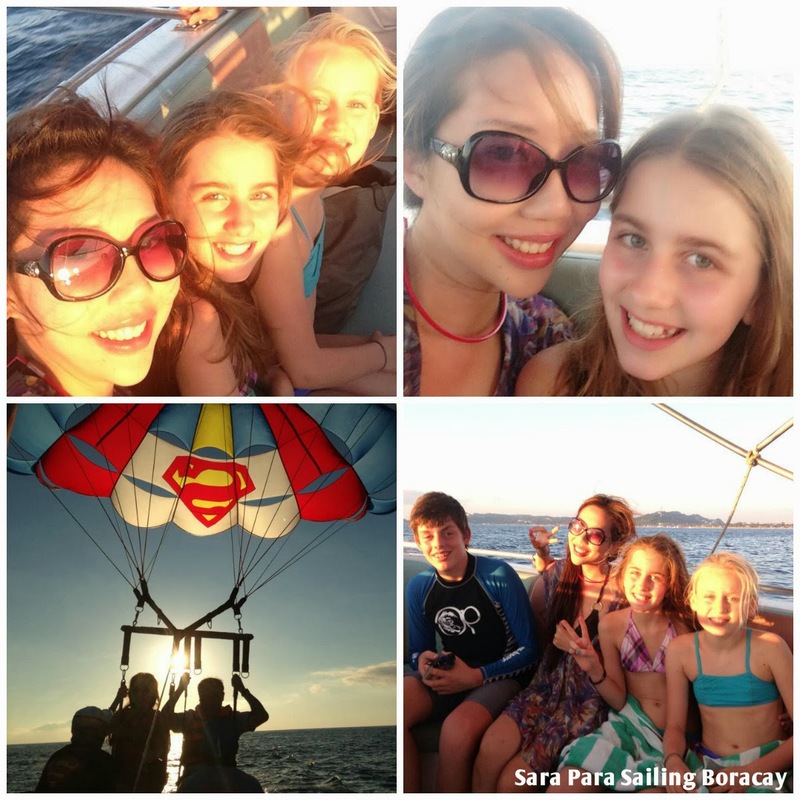 BORACAY - Chinese New Year is the only time, that my parents and I can travel as a family. Apart from Lora, being "stuck" in Sydney due to her PR Application, we usually travel as a whole during Chinese New Year. 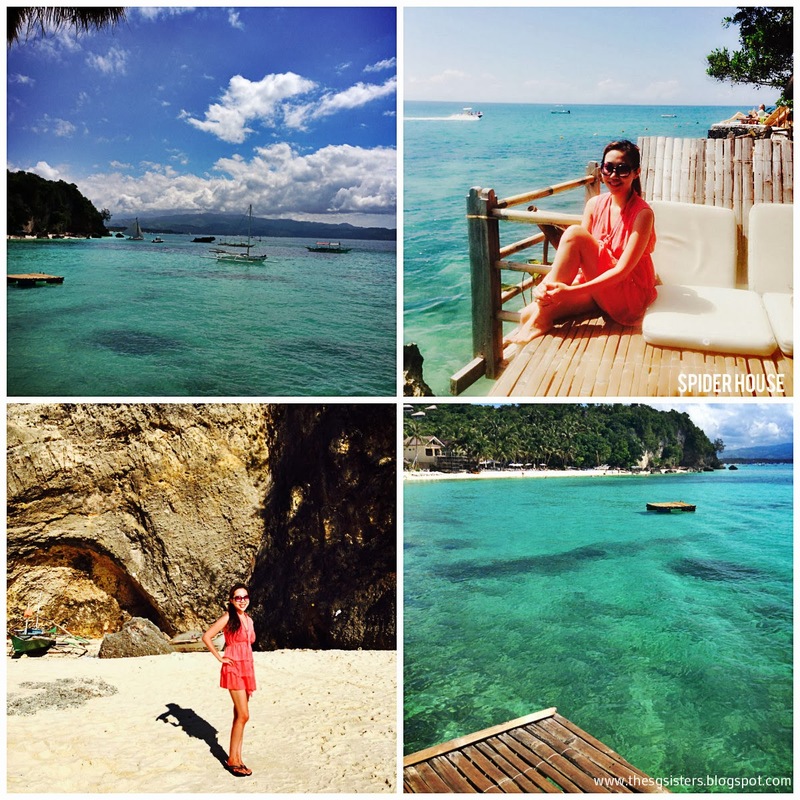 We only decided to go to Boracay Island, just 1 week before CNY. Hence, it was pretty last minute which resulted in more expensive hotels and air tickets. 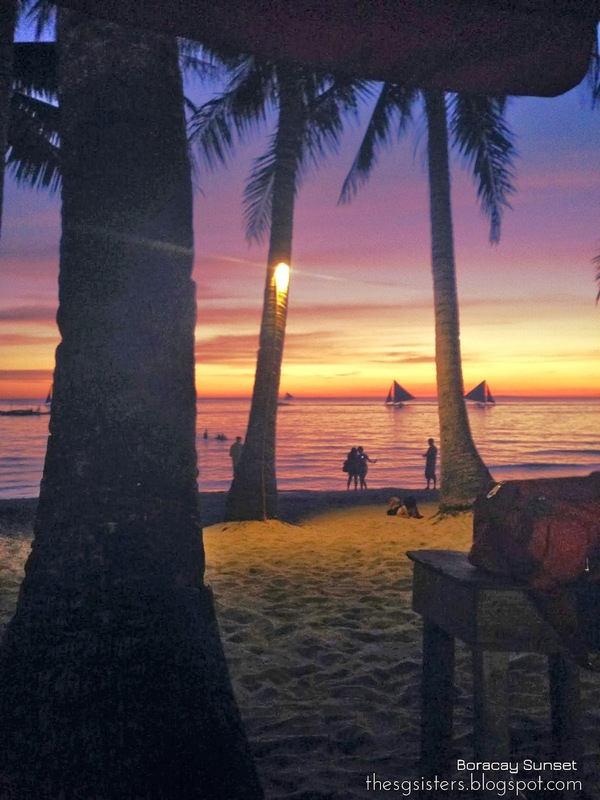 Luckily, this is the peak season and best time to visit Boracay. The weather was perfect, the crowd and atmosphere was awesome. Everyone was hyped up and filled with excitement! There's 2 ways of getting there from Singapore. Obviously, we chose to go direct. It took us about 3 hours to fly from Singapore to Kalibo Airport. Then another 1.5 hours to take a van from Kalibo Airport to the Island Jetty, then take another 20 minutes boat ride to Boracay Island, then another 10 minutes van ride to our Hotel in front of White Beach. 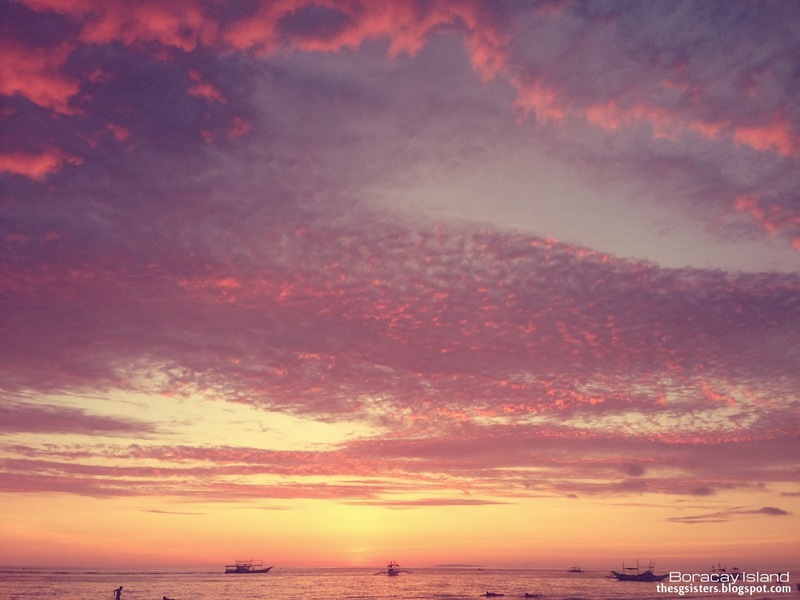 It took us a total of approximately 5 hours to get to Boracay Island and it's all WORTH IT! Kalibo Airport was really an eye opener for me. As an ex air-stewardess, with 5 years of flying experience around the world, I have never seen an airport like this before. It was quite a sight. You have to see it with your own eyes to understand what I mean. The entire airport was rather chaotic and appears not to have any proper system in placed. Everyone was pushing their way in an disorderly manner without queuing up at all. Frustrations aside, we took 1 hour to clear the customs. Everything was a MESS, UNTIL you reach the BEACH FRONT! 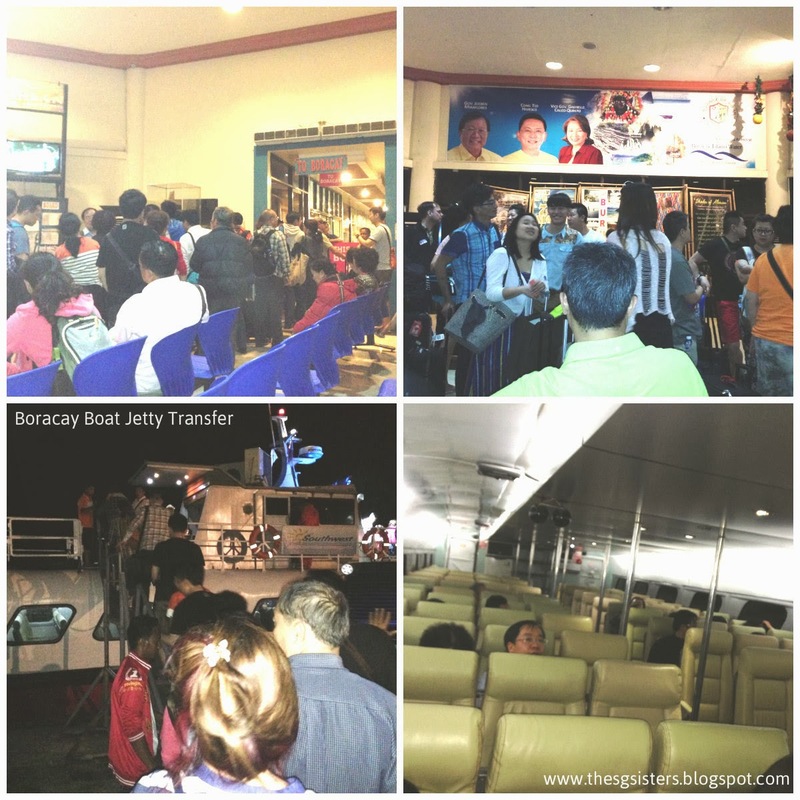 It is highly recommended to buy a SGD$20 transfer from Kalibo Airport to your Boracay Island Hotel. This is to avoid the hassle of getting the transfer ticket which is available the moment you exit the airport. There are a few Boracay transfer booths at the exit area, they sell airport-island transfer tickets at around 700-800PESO. Then, you would also need to pay another 100-200PESO for their environment island fees, etc. Due to the last minute travel bookings, my air ticket costs SGD$450 per person but I found out that the rest of the people who were on the same plane as me only bought their tickets for SGD$200+. Moral of the story, please book your air tickets early to get a cheaper price! As it was Peak Season, I could not find a decent hotel that was vacant for all 5 nights. Hence, we had to hop around the island, staying at 3 different hotels over the past 5 nights. Some of you may find it troublesome, but I thought it was a blessing in disguise. I was able to hang out at different parts of the island. 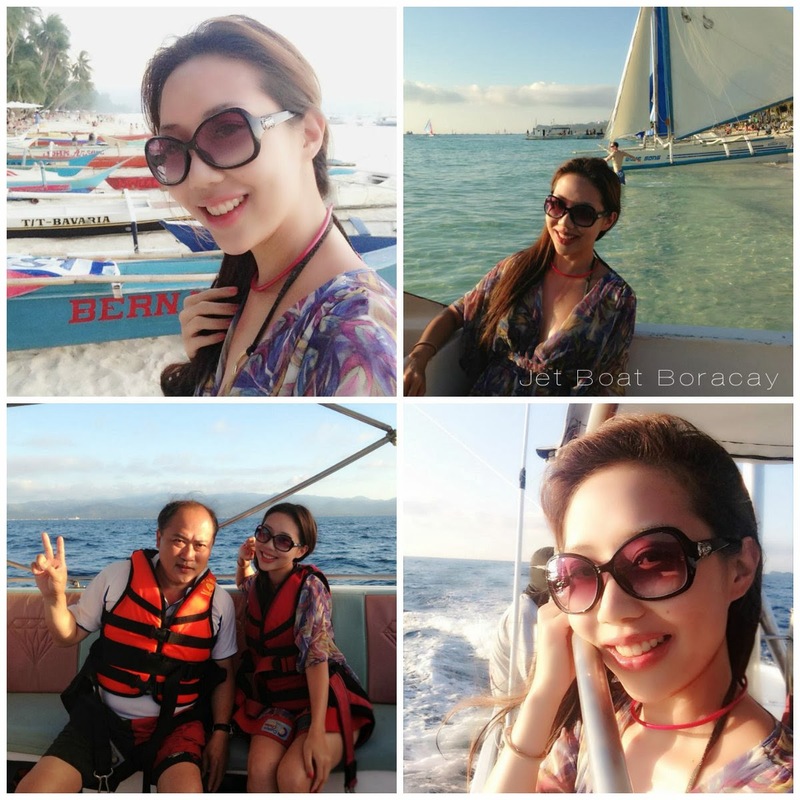 I pretty much cover all the interesting places and beaches of Boracay during this trip. 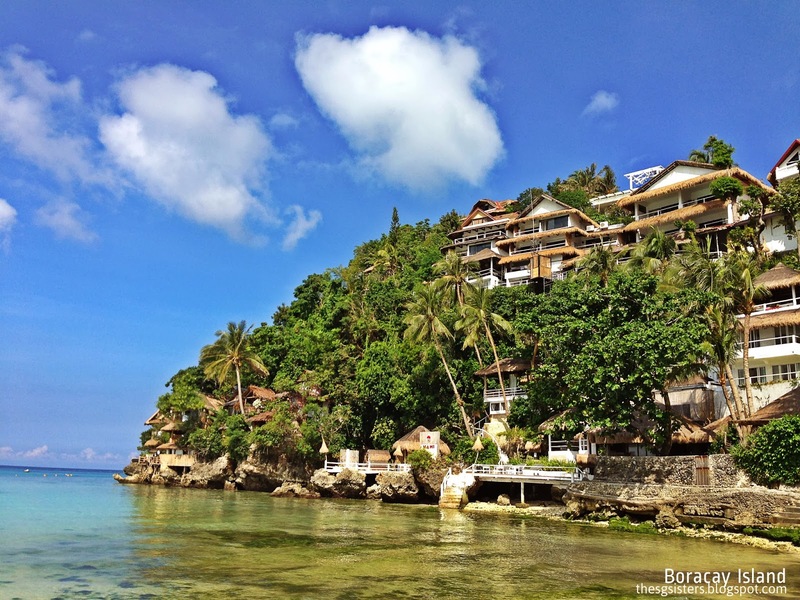 The first 2 nights, I stayed at Boracay Beach Hotel. Its at Diniwid Beach. This hotel is facing the beach front, but it is not fully built yet. You may consider staying in this apartment, after 6 months. If not, you would hear the workers start hammering wood at the edge of the waters at 8am in the morning. It is closer to Boat Station 1 and is walking distance from a really interesting place called The Spider House. 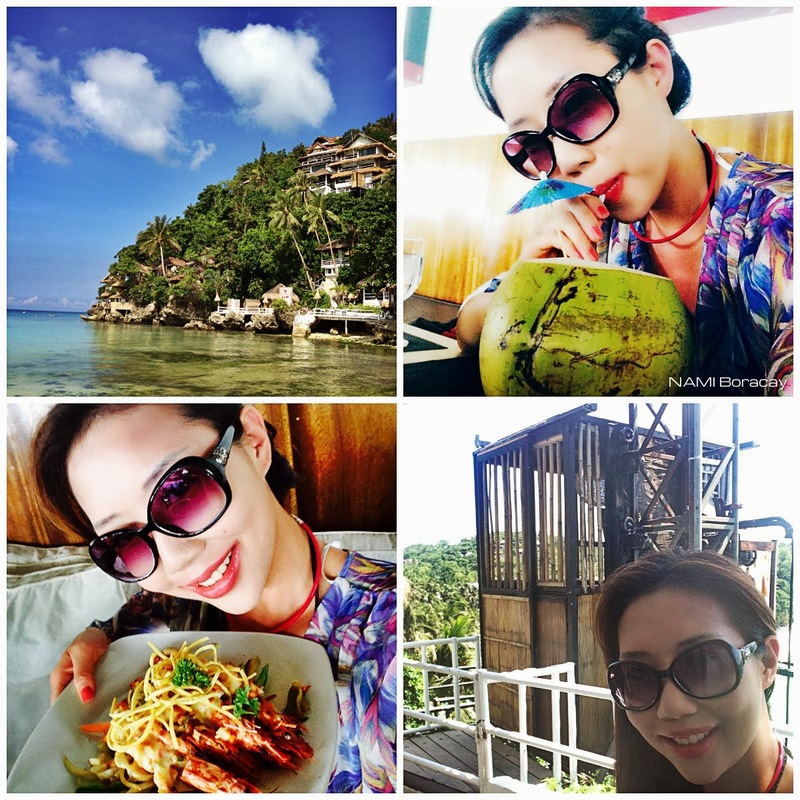 My parents and I loved The Spider House, so much that we hung out there for 2 whole days chilling over delicious cocktails and enjoying the beautiful beach views. THE SPIDER HOUSE RESORT - This hotel establishment is really unique and interesting. Just watch my video and you will know why. You have to literally walk through a cave before you get into the hotel lobby and bar. The special attraction is that guests are able to jump off the wooden platform straight into the clear blue waters anytime. 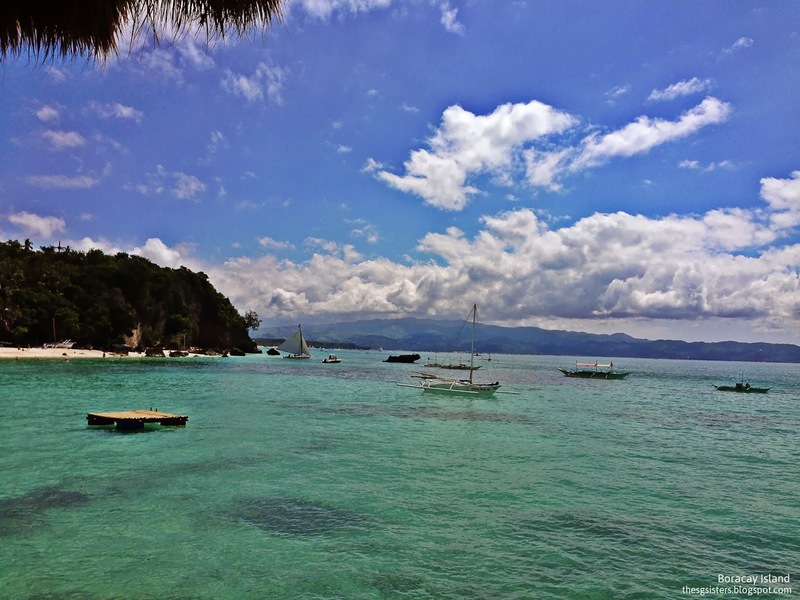 Talk about easy access to the clear blue waters and swimming! I bumped into a very friendly Boracay Resident who dove into the water, with a huge splash. 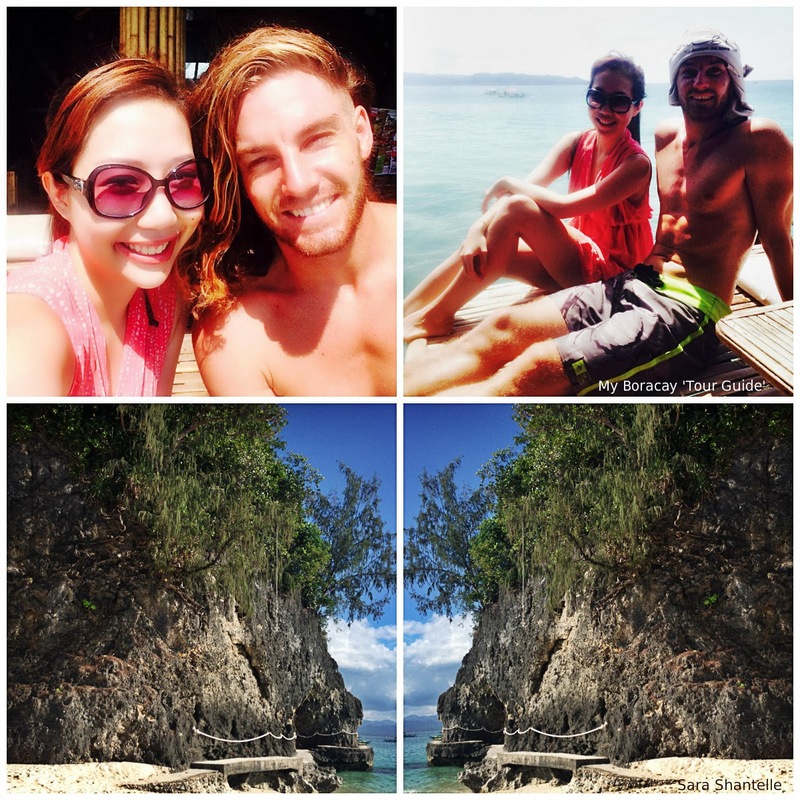 I learned that he is only 24 years old and resides in Boracay as a German Language International School teacher. I think it is an awesome way to travel around the world as a Language teacher. 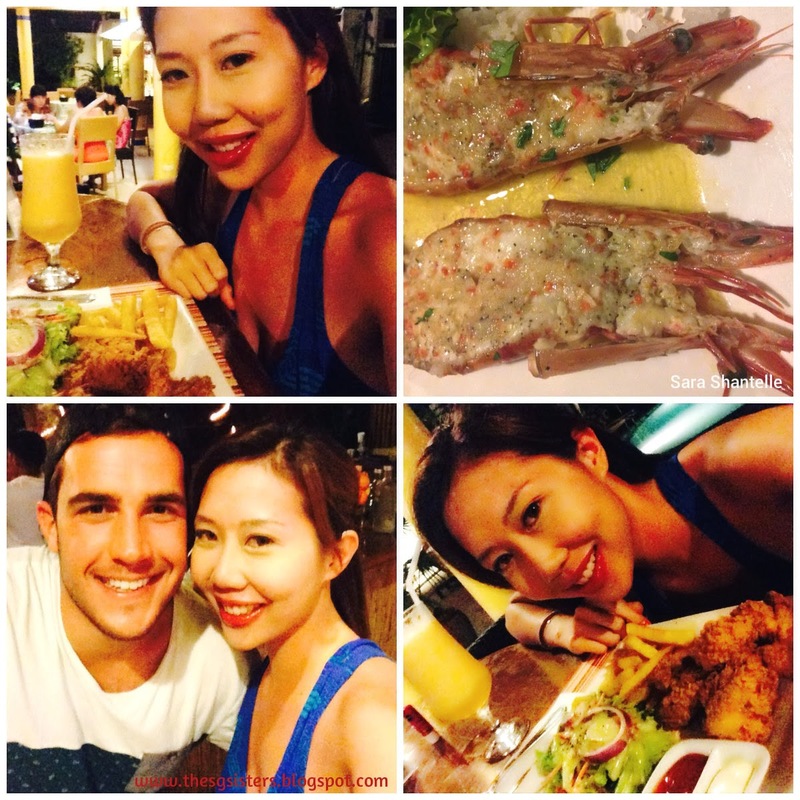 He has been staying in Boracay for over 2 years, and he's loving it! He gave me a mini tour along White Beach, as he was walking towards his football game, in the middle of White Beach. WHITE BEACH & CATHOLICS - While walking throught the rocks and caves to White Beach, I noticed a lot of Mother Mary Statues around the island. Most Phillippinos are Catholics. They have the highest percentage ratio number of Catholics in their country in the world. I spent the rest of the day, touring and exploring White Beach on my own, while my parents preferred to stay at The Spider House to have a relaxing time on their own. I had a foot massage at 350PESO, by the front of the beach. It feels fantastic to have a massage after walking around so much. 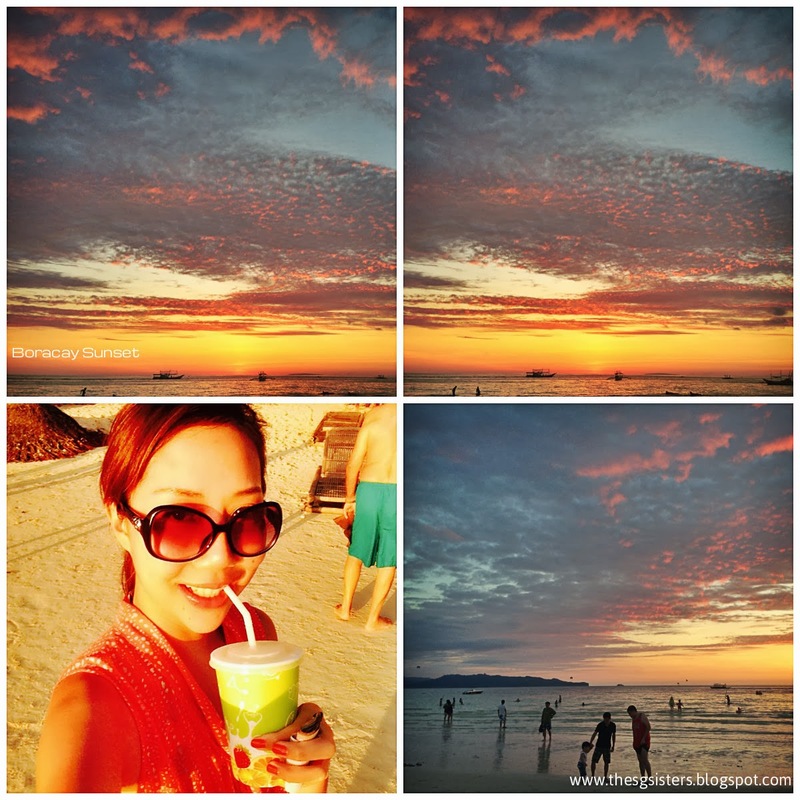 I watched the beautiful sunset while sipping my Mango Fruit Shake and enjoying my relaxing foot massage. There are many stalls selling fruit shakes, you can get them at around 70-100PESO a cup. At night, we had dinner at Mama's restaurant, just right beside The Beach House Hotel. They served fantastic fruit shakes and margaritas! And guess what, a bottle cost of beer only around 50-70PESO (SGD$1.40). Now, you can afford to drink till you get drunk, every single day without feeling a pinch in your pocket! 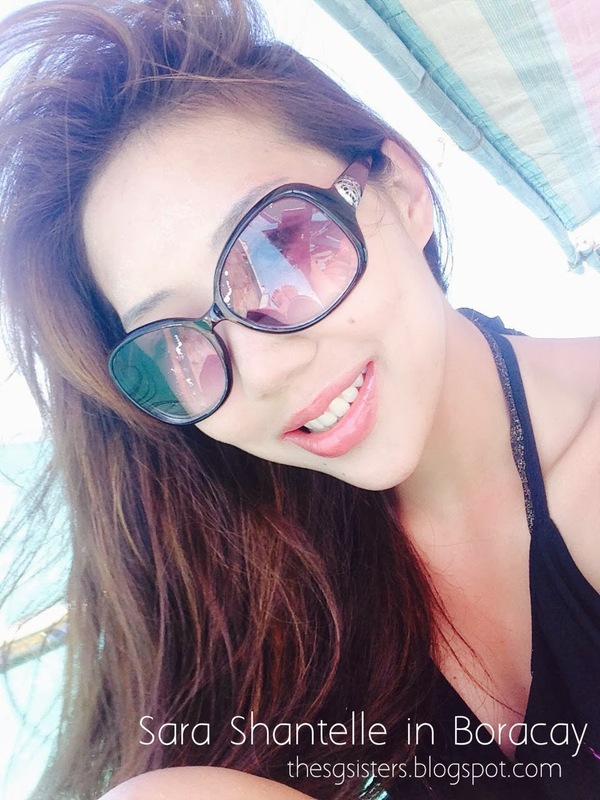 I realised that people at Boracay are really friendly. My parents and I made another new friend! Meet Adam, an American from Los Angeles who has been traveling non-stop for more than 2 months. He is only 26 years old and loves traveling around the World. I wish I could travel as much as these people! NAMI Restaurant - An award-winning restaurant that is always crowded so do go early to reserve a table. They only have around 15 tables in total. The food is more expensive here but the view is priceless! You can see the entire White Beach waters while dining. It was a beautiful dining experience but beware of the wooden lift that appears to be quite fragile. You are in for a scary lift ride! ANIMALS - There were many stray dogs and cats who were spotted along the beach. They enjoy the beach too! 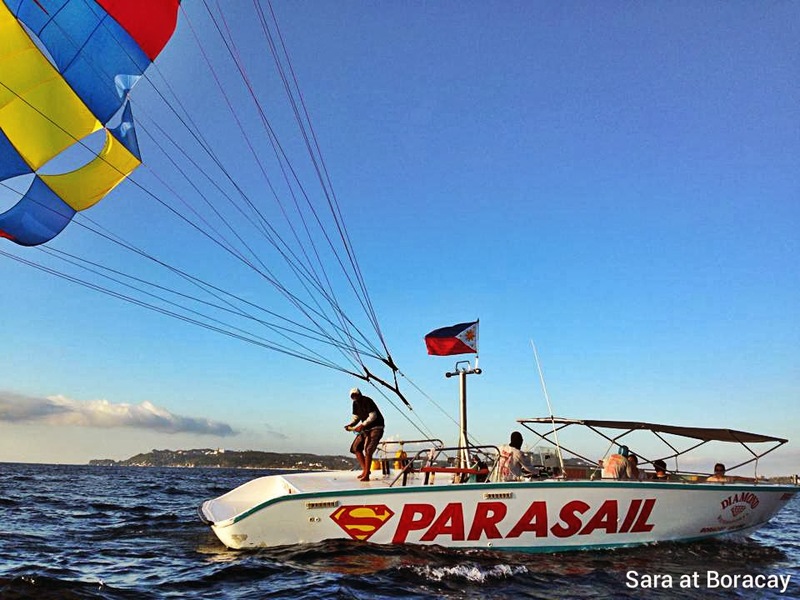 PARA SAILING - I decided to go Para Sailing! It cost around 1500PESO each person, thats around SGD$42. I managed to convinced my dad to join me. We had to take a small jet boat to the middle of the sea, then transfer to a para sailing boat. I did para sailing during sunset, as its the most beautiful during that time. It was a rather frightening experience but I managed to overcome my fear and I feel extremely proud of myself. Don't be surprise to see many kids, doing this as well. I guess, they are not afriad of heights. I met this group of caucasian kids that live in China their whole life. I'm so amazed at how good they are at speaking Mandarin. I love their super long natural lashes and green eyes. 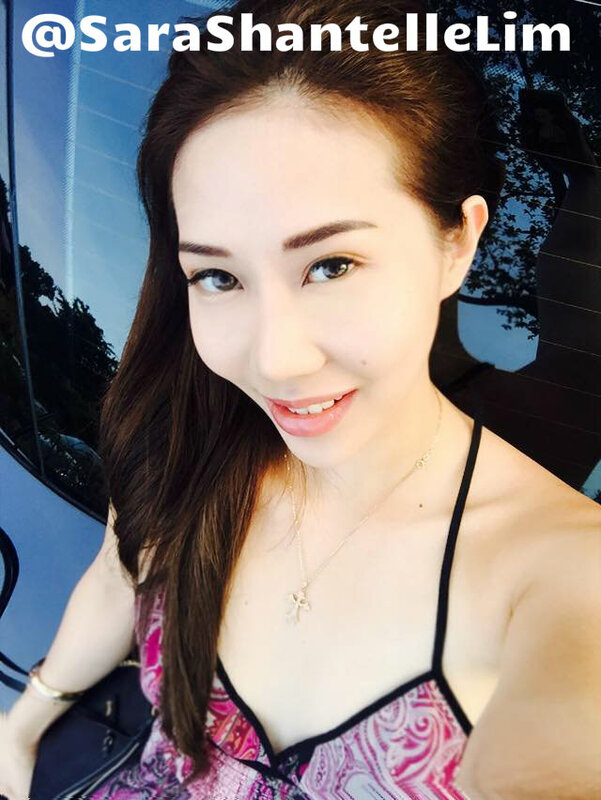 Well, if you would like to have pretty natural looking lashes, you may try the Barbie Eyelash Extension at www.PrestigeEyebrow.com. I have my lashes done once every 3 weeks. It looks really amazing! PARA SAILING - The view from up there is really magnificent. The clear blue waters, the orange, pink and purple sky line. Its like I'm in a painting! The ride was around 15 minutes long, you may choose to have your body dipped into the water, as a teaser. I bought a shirt that states "I love Para Sailing at Boracay at 350PESO", just to support their tourism in Boracay. The whole island survives on Tourism and it is no wonder the locals are extremely friendly to all tourists. Put on your best smiles! 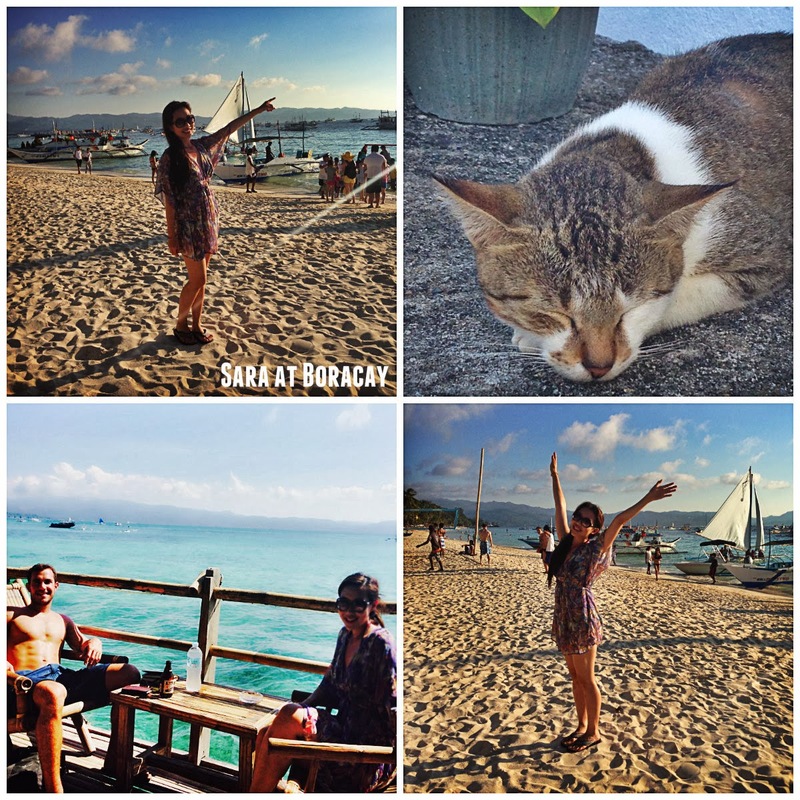 This was how I spent my first 2 days in Boracay. 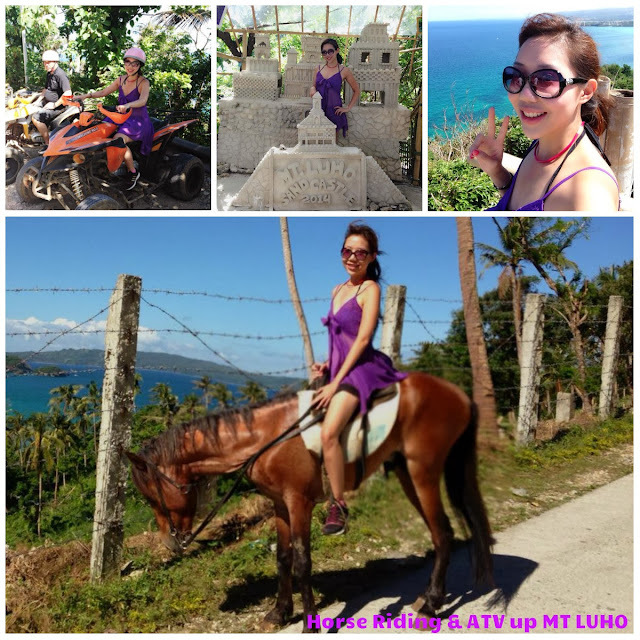 Stay tune for the PART 2 of my Boracay Island Holiday trip! 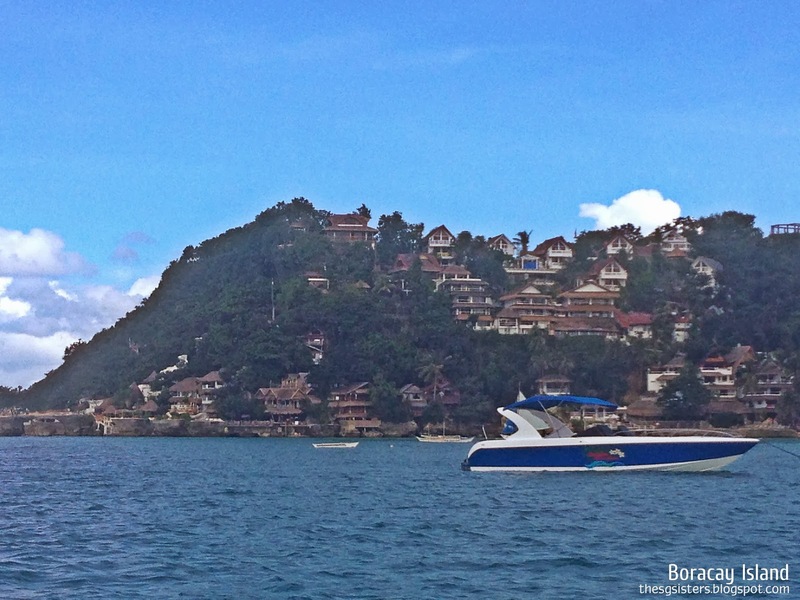 For more information about Boracay Island - you may visit "My Boracay Guide". I learned it from John Chow & Peng Joon - No. 1 Money Making Bloggers in the World! Anyone can do it, if I can, so can you. I attended PENG JOON's Internet Marketing Program at Resorts World Sentosa, worth $2000+, I have learnt a lot! :) - Sara Shantelle. Thanks for sharing thi to us..I'm looking forward for the part 2 of your article.